After getting caught swiping a few chickens from a neighbour, James Squire was sentenced to seven years in Sydney Cove. You could say it was the best thing he ever did - it led to him become a brewer, policeman, property tycoon, respected citizen and a bloody rich guy. All because of the theft of a few chooks. But if all you know about James Squire is what you've read on labels on beer bottles, then you really don't know that much at all. 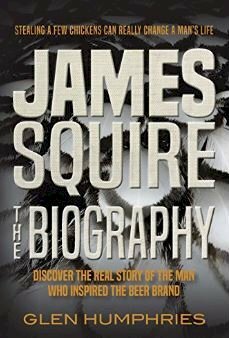 This book - the first biography of Squire - separates the facts from the well-known myths about his life. For instance, he never stowed away on the First Fleet ship carrying female convicts, didn't get lashed for stealing the ingredients to make beer and might not have been the first person to grow hops in Australia. He was also a man who may have used a false name on his daughter's birth certificate, loathed people who cut down trees on his property and got along far better with the natives than most of the other white newcomers. Along the way you'll also discover a few other things about Sydney Cove, including Captain Arthur Phillip's efforts to get his hands on some Aboriginal heads for a friend, early Australian's fondness for cider rather than beer, the fight rival brewer John Boston had over a dead pig and the marine who tried to trade his hat for an Aboriginal child.